Finding the best foreclosure real estate deals for your investment company doesn’t need to be as hard as many make it out to be. Those that know how to navigate the foreclosure market could be made privy to some of today’s greatest real estate deals. Finding a foreclosure may be as simple as following one of the following strategies. Finding the best foreclosure real estate deals for your investment company doesn’t need to be as hard as many make it out to be, nor does it need to be as intimidating as your own imagination has falsely lead you to believe. Truth be told, finding foreclosure real estate deals isn’t the insurmountable task most investors originally presume, but rather a minor obstacle — one that can be navigated with a little due diligence, an acute attention to detail and a little guidance. And therein lies the secret to landing a great foreclosure property that can contribute to your bottom line: following a proven system. While due diligence is, more or less, expected of today’s greatest investors, their personal habits must be complemented by the right system if they hope to find foreclosure real estate deals. Fortunately, I have a system for finding deals, and it’s not nearly as difficult as you would imagine. Let’s take a look at how every investor can follow four simple steps to find their next foreclosure deal. It may come as a surprise, but foreclosures are not as personal as many would initially assume; in fact, they are quite the opposite. Whether you realize it or not, those homes at risk of going into foreclosure, or even those that have already started the process, are identified in public records. You see, notices are recorded with each municipality’s respective County Clerk in various stages of the foreclosure process. That means your County Recorder’s Office is privy to those homes that are either in foreclosure, or at risk of it. Of particular importance, however, is that access to said records isn’t hidden by, well, anything. Foreclosure notices are part of the public record, meaning you can choose to visit your County Clerk and have a peek for yourself, typically for free. At no charge, you can gain access to Notice of Defaults (NOD), Lis Pendens or for a Notice of Sale. When you are able to identify the exact properties at risk of falling into foreclosure, it stands to reason that their respective sellers are highly motivated to sell. And if you can identify the most motivated sellers in a neighborhood, you give yourself the best odds and landing your next deal. Instead of simply relegating your search to the public records, where few dare to venture, try looking where everyone else is: online. There’s bound to be more competition, but with the right systems in place, competition is a lot easier to beat out than not finding properties altogether. In order to search for foreclosure real estate deals in or around your area, you will most likely need to enlist the services of a directory, of sorts. Otherwise known as an online listing service, it’s entirely possible to pay for the same types of lists you would find if you took a walk to your County Recorder’s Office — only, the lists online are already curated. As such, you will find online lists that include Notice of Default, Notice of Trustee Sale and Lis Pendens data on properties in the foreclosure process. What’s more, the companies offering their lists online will usually provide information that proves invaluable in the search for foreclosure deals: name, address, outstanding loan balance, and other valuable information. If you are lucky, you may even stumble across a list with phone numbers to place you in direct contact with the owner. Not unlike the homes you will find in the public record, however, the homes will have added competition. So you will need to have everything in order and be ready to move as soon as possible. 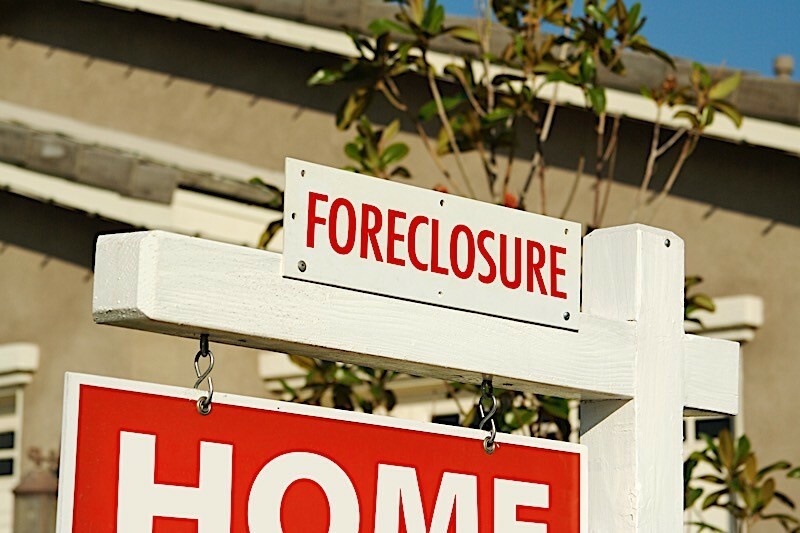 Not all foreclosures are as easy to identify as looking at a list or public records. If for nothing else, some of your greatest deals may not even be in foreclosure, but are rather at risk of falling into foreclosure in the near future. That means viable candidates to pursue may not be listed anywhere yet. So how do you go about finding something that doesn’t technically exist yet? If you have exhausted foreclosure lists and scoured your public records to no avail, I maintain that driving for dollars remains a viable option for finding deals. As its name would lead you to believe, driving for dollars will have investors physically drive the neighborhood they intend to invest in and pay acute attention to detail. While not all pre-foreclosures are readily identifiable, a great majority of them will coincide with some telltale signs. Namely, the most obvious pre-foreclosures will exhibit signs of neglect: unkept lawns and gardens, poor curb appeal, clear evidence of vacancy, etc. While not every home with poor curb appeal represents a foreclosure candidate, neglected homes tend to be a sign — one that suggests foreclosure is more likely. At the very least, an unkempt yard hints at the idea of a homeowner that has given up. Of course, they may not have given up because of a foreclosure, but you will never know for sure until you ask. What’s the worst that can happen? It’s true what they say: real estate real is a people business. No other industry is more contingent on the interactions with others more so than real estate investing. In fact, you could very easily argue that the people you know are your most valuable assets. That said, there is no reason you can’t look to your own network for finding deals. There’s a better than great chance someone in your network knows of a potential deal, and foreclosures are no exception. It’s simple, but effective, nonetheless: asking your professional network can lead to a deal. It’s worth noting, however, that there are individuals who are more likely to have insight on foreclosure deals than others. Lawyers, for example, could be contacted by those at risk of going into foreclosure, and are therefore often the first to find out about a home’s status. Sometimes all you have to do is ask. Where Will Your Next Deal Come From? Foreclosure real estate deals have proven to be, time and time again, some of the most lucrative opportunities for real estate investors in today’s market. If for nothing else, the spreads they offer can’t be rivaled by your typical property. However, their benefits are not without their fair share of caveats. Namely, foreclosures aren’t as easy to find as regular sales. That said, they are not impossible to find. In fact, with the tricks I highlighted above, finding foreclosure real estate deals doesn’t need to be nearly as hard as many make it out to be. Have you had any luck with the strategies I discussed above? Perhaps you have an alternative strategy that has worked better? Whatever the case may be, we would love to hear about it. Please feel free to leave your favorite strategy for finding foreclosures in the comments below.